This is not your average Southern town. With a hint of mystery, a lot of laughs, and unique charm, you’ll catch a glimpse of everyday life in Goose Pimple Junction in this short story compilation. Short & Tall Tales occurs chronologically between Murder & Mayhem , book 1, and Heroes & Hooligans , book 2, in the Goose Pimple Junction mystery series. Book 1.5 is a fun escape that will answer questions readers may have about the residents of this quirky small town. How did Johnny Butterfield become police chief? How did Tess and Jack get engaged? How did Ima Jean come to live with Louetta? How do you celebrate an Apple Day? These questions and more are answered in Short & Tall Tales in Goose Pimple Junction . Five short stories, one novella, and three recipes will give you more of life in Goose Pimple Junction, make you laugh, and have your mouth watering. If you want a feel-good read, you’ve come to the right place. Grab some sweet tea and escape to Goose Pimple Junction. Amy Metz is answering questions about things in Goose Pimple Junction. Questions I had myself like How did Johnny Butterfield become police chief? and How did Ima Jean come to live with Louetta? and more in this very fast read. Perfect to hold us over until Rogues And Rascals In Goose Pimple Junction is released. I really liked the “tall tale” where we learn about Johnny Butterfield’s arrival in Goose Pimple Junction. The quote at the top of chapter one was “I was born at night, but not last night.” attributed to Johnny himself. Each chapter starts with a quote from a GPJ resident, that made me start each one with a smile on my face. The tale had all the drama of a full length novel. Loved it! There are 5 “short tales” as well to give readers a little more insight into the some of the people we have met in the other two books. The story about Jack and Tess really touched my heart. Do you like pie? Goose Pimple Junction celebrates Apple Day! The descriptions of the pies will have your mouth watering. I was so grateful to find the recipes at the end of the stories. If Amy Metz is a new author to you this little book will introduce to her wonderful characters. Technically the events fall between Murder & Mayhem , and Heroes & Hooligans , but they truly can all read as stand alone. I just know that once you have read one you will want to read all three. Short & Tall Tales in Goose Pimple Junction! Leave a comment for Amy for 5 Bonus Entries. 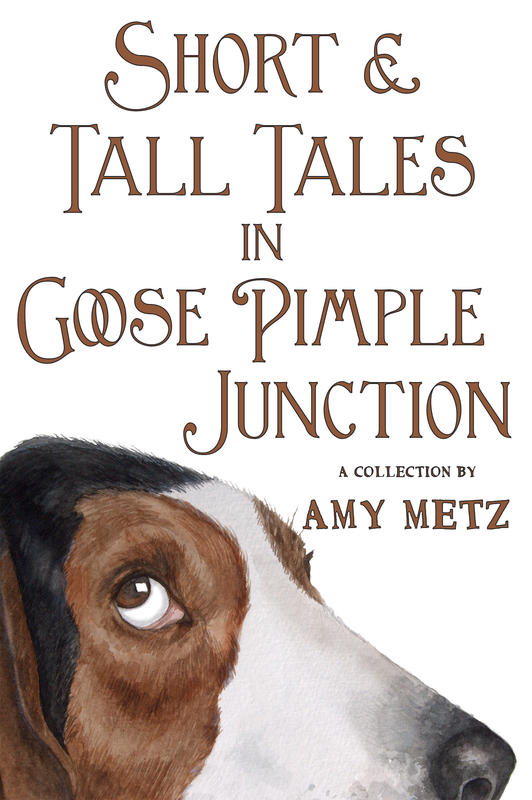 Amy Metz is a new author for me, and Short & Tall Tales in Goose Pimple Junction sounds like a fun read. Thank you for the giveaway. Thank you so much for this review and a fantastic blog tour. I agree with you that the books in the series can be read out of order, but I would caution readers that if they don’t read book 1 first, the mystery may be spoiled for them in the other two books. Of course, I am just grateful if you read them. Thank you again, Lori. You are awesome! That looks like the dog the Clooneys’ just adopted. I love Bassets. They are so sweet. Sounds like a fun book. Love the cover. Short & Tall Tales in Goose Pimple Junction. Question for Amy: when you start a new book, do you have all the characters in place and an ending planned, or does it come to you as you write? Sounds like a really fun story. Thanks for the giveaway! 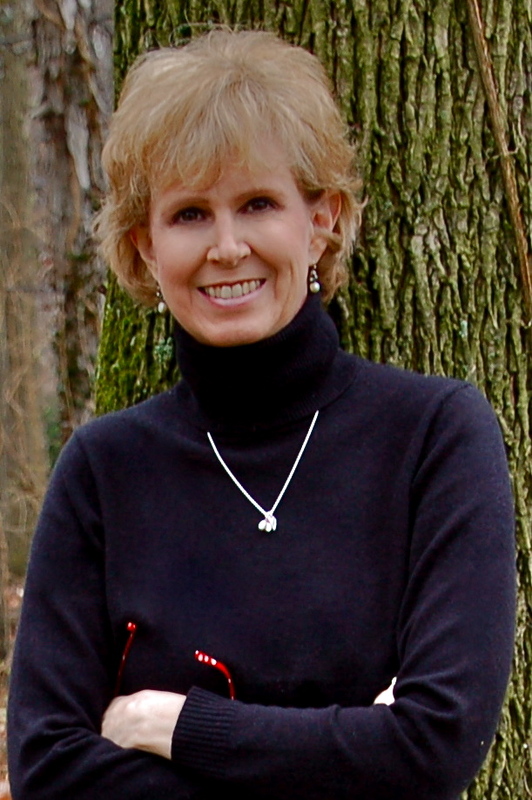 Cozy Wednesday with Kate Collins – Author of Florist Grump – Review & #Giveaway too! Just For Fun Challenge – October 2015 – Farewell, Dorothy Parker by Ellen Meister – Giveaway too!